A mythical, magical place, full of history and drama, Skye has provided the fabulous backdrop for many films and tv programmes; the iconic geological features the subject for so many photography prizes. It’s definitely a place to visit at least once in a lifetime, although many people come back year after year. Yet, Skye has a surprising amount to offer in terms of variety, distinct areas to visit, incredible wildlife, bloody history and, never far away, magnificent views of water. The main areas of geological interest occur on the north eastern, Trottenish peninsular, with the world famous Quirang, a huge fault line with breath-taking pinnacles of rock. The Old Man of Storr is probably the best known feature, here but the dramatic waterfalls at Kilt Rock are also much visited. We can also tell you of some other hidden gems, tucked away. Our favourite place on Trottenish is ‘Ellishader Art Café’, Maggie’s lunches take some beating, we’ve certainly never tasted better. Also visible from Trottenish is the island of Raasay, a short ferry ride away, it provides wonderful views of Skye as well as having it’s own fascinating history and landscape. 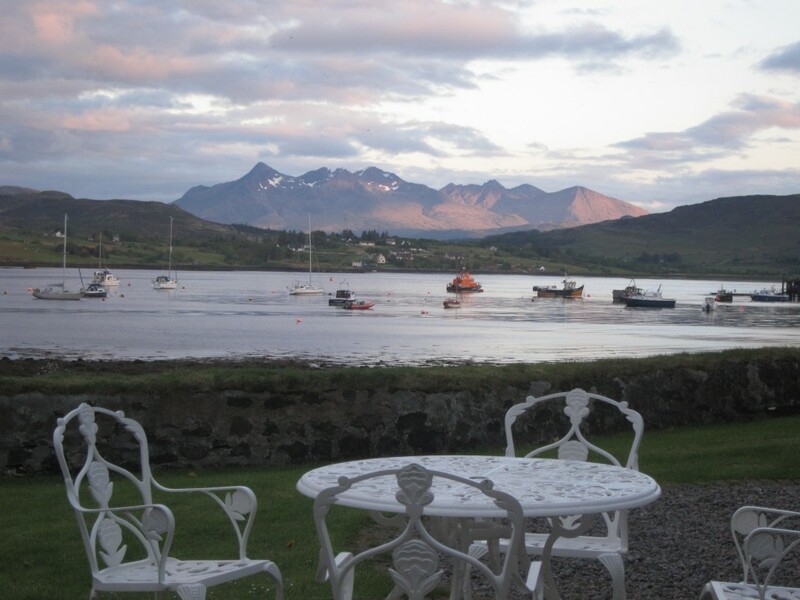 The north western, Minginish & Duirnish peninsulars are dominated by views of the magnificent Cullin Mountains. Rising up from sea–level, these tremendous , 3,000 foot peaks hardly look real and have a Tolkienesque quality. Also in the areas are the distinctive, flat topped, Macleod’s Tables, a coral beach and Neist Point Lighthouse, for viewing whales, basking sharks, dolphin and seals. Talisker Whiskey Distillery is another, popular visitor destination, in this area. 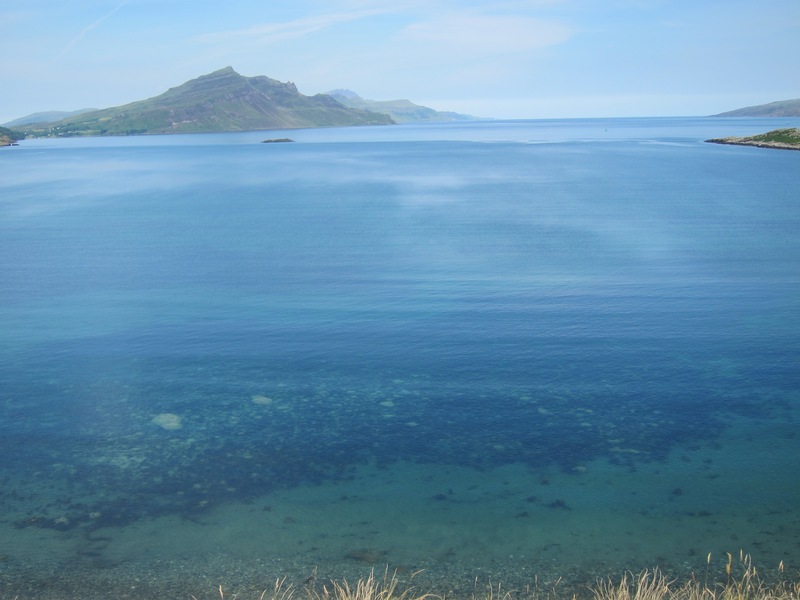 The South of the island, has a much softer personality, more vegetation with magnificent views over to the mainland or across to the islands of Eigg & Rum. Elgol is a popular place for boat trips, and particularly as access to the stunning Loch Coruisk, right in the heart of the Cullin Mountain range. Details of all this and so much more are available in Blue Moon Studio for you to peruse at your leisure.